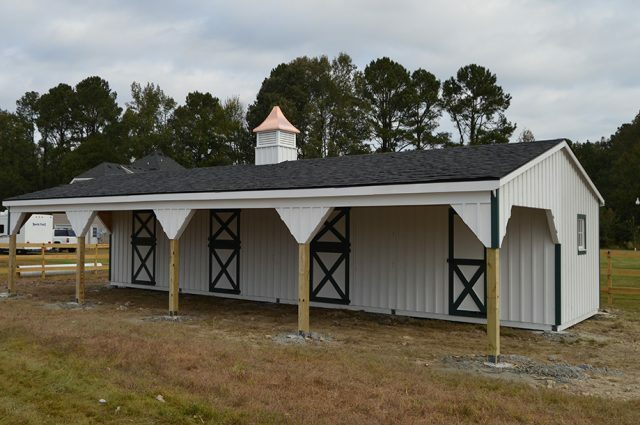 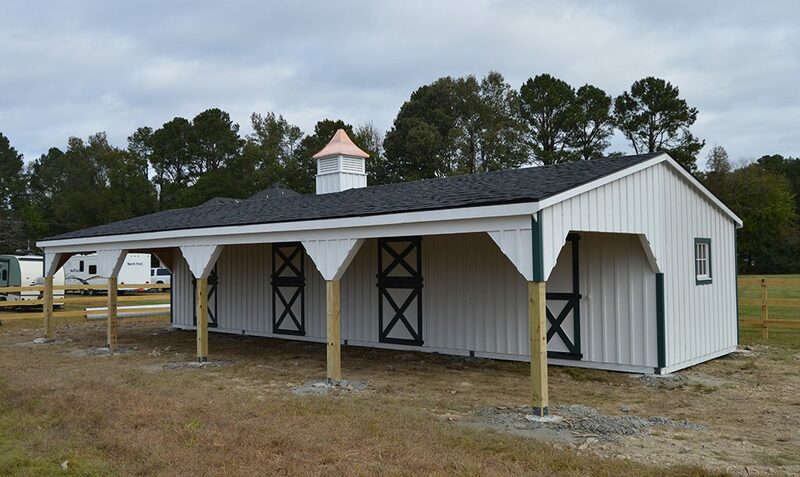 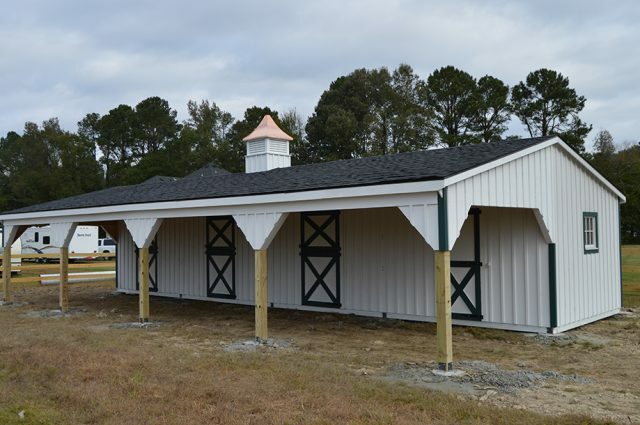 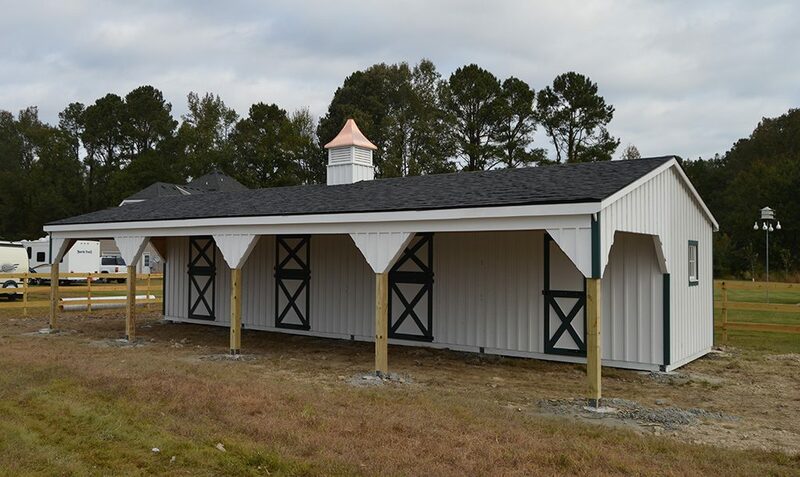 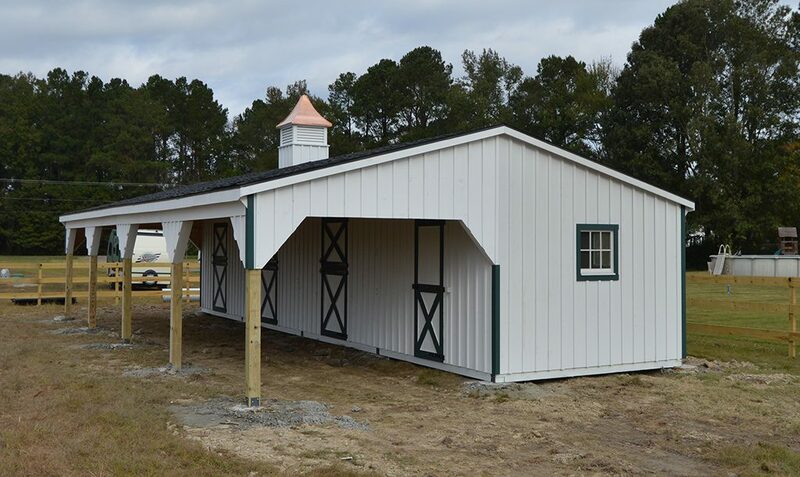 Here’s yet another shed row barn with lean-to structure we completed for our friends in Virginia! 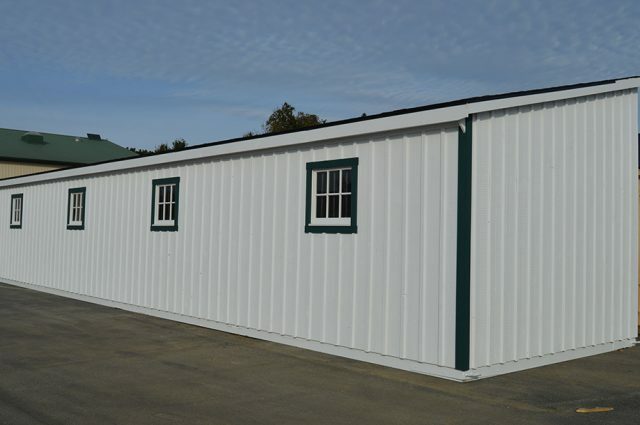 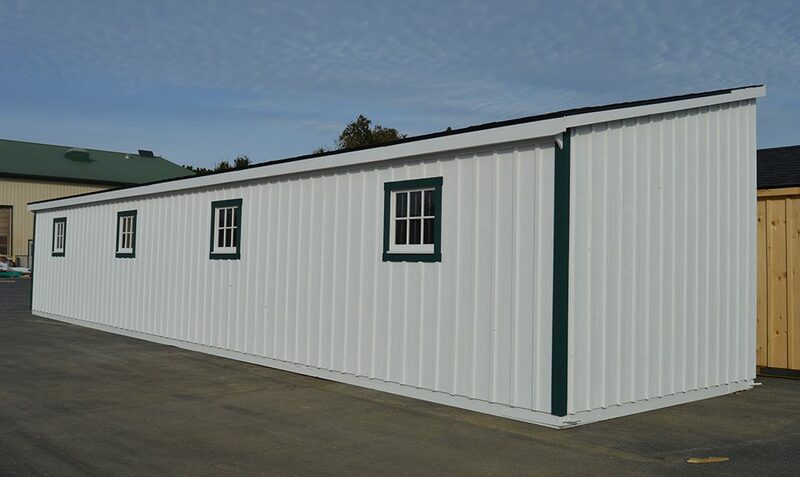 This spacious storage barn features a 12′ x 12′ tackroom with white paint, green painted window and door trim, and a cupola on the exterior. 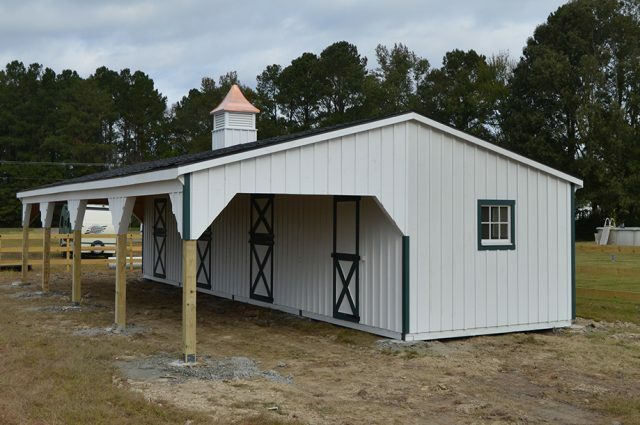 We even included an extra window in the tack room for more natural light!